Young birders - Photo: Chris West of http://swallowtailedkite.blogspot.com/. Here is a spinn-off from our recent Peru-trip give away, in which many young birders participated, although most did not make it all the way to win a free trip. I did reserve several slots for young birders, but I had also to see what possibility the participants would have to be able to raise interest among fully paying participants. Although the social media skills were great, I felt many would have difficulty in getting friends to pay full price. I felt very sorry, considering all the hard work they put in. Since, then I have been balling a few ideas with Young birders Chris West and Kai Reed. Maybe it would be possible to cater a trip for young birders during our low season at a special discounted price, where some of the costly private transport or expensive hotels are scaled off. From them I understood that during spring term there would be little chance of going away if the trips were not centered around some holiday. I also understood that price was more important than comfort. This is what I have come up with. The first reactions are very positive among the young birders I have been in contact with, so it is likely that the trips will take off, in spite of the short notice. We shall offer a birding Carpish/Satipo road program for Young birders SUB25 Feb 14-21 $699 (President’s birthday holiday) and birdwatching in Manu National Park and Amarakaeri communal reserve Feb 25-March 4 May 17-24 $699, with possibility to do Manu road or Abra Malaga/Machu Picchu self-guided prior to start of that section. The idea is to provide affordable trips for young birders – and also prepare the communities for when more comfort demanding clients will arrive. UPDATE: We shall not fill either trip, why we offer both trips also for those birders young at heart, but older than 25 years old. Price is $120/day. An 8 day trip would therefore be only $960. Unbeatable! Satipo road trip set off slightly modified with 3 people on Feb 15. The Manu trip is postponed to May 17. There are still a few vacancies. Carpish/Satipo would be much less expensive in total than the Manu trip because no internal flight are involved. It is rainy season, which traditionally has kept birders away from Peru. However, that should not keep a birder away. The birding is still fantastic – and it beats shoveling snow any day, right! Some of the Manu lodges are at this point abandoned, but bringing in a large group will allow for the communities to send people there to clear the clearings, which will be a bit overgrown, and making maintenance. It is likely, that not all maintenance shall be ready, but we shall also bring camping equipment to be able to stay wherever we want en route. No extras are included. That means the flight to Cuzco is not included (we can help with purchase for best price available). Alternatively, a bus can be take to Cuzco (21 hours) from Lima, with the possibility to stop and bird in Abancay. Bus cost is about 50$. The transport to Atalaya from where the Manu trip begins is also not included. This allows for participants to either go down the Manu road with the local bus (Mo, We, Fri) and make stops or travel straight there. The bus is around 20-30 dollars. One may travel overland back to Cuzco from Maldonado (cost 20-30 dollars) or fly to Lima or Cuzco (we can help for best price). The overland option gives some opportunity to bird around Quincemil and Marcapata. There are no extras on the Central Peru option. Apart from the limitations above, everything else is included. You get an expert English speaking bird guide that knows all calls of the birds to separate antbirds and flycatchers. You have a cook that makes sure you get great food and drinks through-out the trip. A private boat in Manu and private car in Carpish with professional boatmen and driver. And you should get minimum 300 species of birds with up to over 400 possible.Carpish/Satipo road is potentially more species rich as you pass through many different habitats. Here are the links again, if you want to read more about the trips. There will be limited space on the tours. So don’t wait too long to book. Please spread the word through your network of young birders. Great thanks to Chris West for getting me the excellent picture for this blogpost. Check out Chris West’s blog here. This looks awesome Gunnar. I'm thinking most people are going to pick the bus option since it's cheaper and provides for birding along the way. Well done knocking down the price!! If this all works out, I hope you plan on keeping these trips in Kolibri's permanent repertoire. Thanks for using my photo!! in the future. Keep updated on school holidays in the US. This is excellent. I'm thrilled that more and more people are thinking of this sort of thing. Although I'd love to join this trip (I don't know if I qualify as a young birder anymore) – work does not allow. But bottom line is that you are doing a great thing here Gunnar! Thanks Brendan. Please spread the word. How old are you? Brave move Gunnar. I do think that your business can handle some price flexing, but it's a tricky one – how do you revert to full pricing next year? Is discounting the only option? Wish I had a magic solution….but I don't even have that for my own business. I've posted this to a few other sites. Same here. 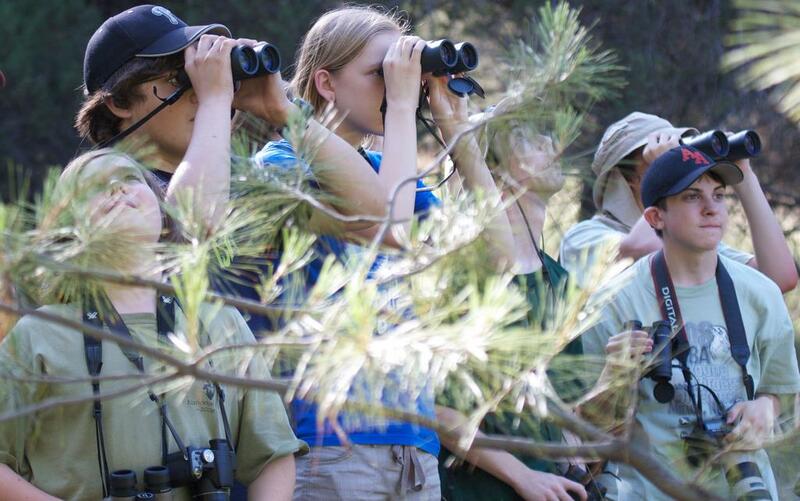 Don't qualify as a young birder, but the trip sounds awesome. I've been learning a lot about Peru's biodiversity by way of the Peruvian contest giveaway Karikuy is sponsoring. All this research makes me want to see an Andean condor! All: I neglected the responses here, during my Colombia holiday. Time to put it right and update. @Chris Yes, it is tricky setting the right price. But you also need to know who you cater for. Thansk for resending my post. Very much appreciated. @Jeannette That is an excellent blog that Julio C Tello has there. And a good project. Thanks to pointing me to it. Condor is practically guaranteed in Santa Eulalia canyon (near Lima) these days. The first Satipo road trip for Young birders in the end had only one young birder and two photographers. Too bad really. However, there is the Manu trip still on with new dates in May. We will allow slightly older birders as well for a slightly higher price. We have four people so far, and will close the group at 8. Also want to make mention that there is a Satipo road trip coming up coinciding with spring break. Not a Young birder trip, but nevertheless it comes with a good discount. Next post: Day 2. Social Media for birders. Facebook essentials.